Still a Harry Potter fan… after all this time? Always! There are books that affect you for months. There are books that affect you for years. And then there are books that affect you for life. Harry Potter is one such book. I, like many people from my generation, have grown up with Harry Potter. I was 11 when I started reading Harry Potter and The Philosopher’s stone, same age as Harry. Then at age 12, I continued with The Chamber of Secrets, then at 13, I was on The Prisoner of Azkaban. And so on until I was 17, almost 18, doing my final year at school while reading The Deathly Hallows. I had a golden childhood and one of the reasons for that is a book, my love for which I keep until now. I was convinced I didn’t like fantasy at all (a beautiful example of how well one ‘knows’ oneself), however, some of my favourite books and movies prove me wrong- Harry Potter, The Lord of the Rings, Game of Thrones, The Mortal Instruments to name but a few. What I realised I like most about fantasy, is it perfectly represents the world we live in, with its complexity, the fusion of good and bad, the everyday fight for survival. Maybe I exaggerated the last bit slightly, but don’t we fight for a place in this world every day? Don’t we battle our inner demons every single day? Don’t we have a concept for our life we struggle to prove right? Every. Single. Day. Of our existence. As most of you know, the Harry Potter series show the path of a small and lonely child through life. A child whose biggest challenges happen to be in the very early stages of his life. Stripped of his parents as a baby, raised by people who despise him, Harry turns out to be a decent young person nonetheless, unaware of the world he belongs to and his significance for its well-being. As Harry is growing up, the books evolve with him, showing that none of the characters is pure good or pure evil. Even Voldemort has his reasons to be what he is by the end of the story. Voldemort, Harry and Snape are my favourite characters in all the books, having had the most extraordinary life paths from all characters (Dumbledore is quite interesting as a character too, but his early life is not explored that much, which is why I rather see him as one-dimensional). Voldemort, who is a product of love magic his mother performed on his muggle father, is not capable of feeling love for anyone for that sole reason. I think what J.K. Rowling is trying to say here is that love cannot be forced. You cannot force someone to love you, but you can force them to be with you nonetheless, and the result could be devastating. Voldemort grew up as a lonely, orphaned child with no one to count on in this world but himself. He was cruel from an early age, feeling that he was very different from those around him. The pivotal point in his behaviour, though, is when he finds out he’s a direct heir of Salazar Slytherin; this leads to him believing he’s greater than all muggles and certainly greater than most wizards. His vanity led him to do terrible things. He had a weak spot, though. It’s true he didn’t feel love for any living creature, but he did love one thing in particular-Hogwarts, the only home he ever knew. This is the one thing him, Snape and Harry have in common, the limitless love they have for Hogwarts. We don’t know much about Snape until the very last book – The Deathly Hallows – where we find out that he loved unconditionally Harry’s mother Lily and he risked his life ever since she was killed to protect her son. Snape, just like Voldemort, had a muggle father who despised wizards and a wizard mother who despised him. The only happy moments in Snape’s early life were those spent with Lily. He, much like Voldemort, found his real home in Hogwarts and remained there for almost his entire life. Maybe those similarities with Voldemort’s life made Snape admire him and his ideology so much and if it wasn’t for Lily’s murder, he would probably have stayed with Voldemort, although, getting to know Snape in the last book, we seem to understand that deep inside he’s a decent man. Harry, the last of the three to join Hogwarts, has had a difficult childhood as well. He also didn’t know love as a child but the huge difference between him and Snape and Voldemort is that he himself is a product of great love between his parents. It’s true he grew up with people who despised him, surrounded by people who didn’t understand him. Just like Voldemort, he wasn’t fitting in the muggle world, but he didn’t know why. His early life experiences should have made him an angry and bitter person but they didn’t because he was loved – by his parents, by his godfather, by Dumbledore- although he didn’t know that until he was exposed to the world he belonged to. Although it is a children’s book, Harry Potter teaches wisdom adults could also learn from. I think this book series is suitable for absolutely everyone- from a child to an old man. This is because a child lives inside each one of us and if we let them come out on the surface, we’ll be much happier. A child certainly lives inside me and she will always be friends with Harry! 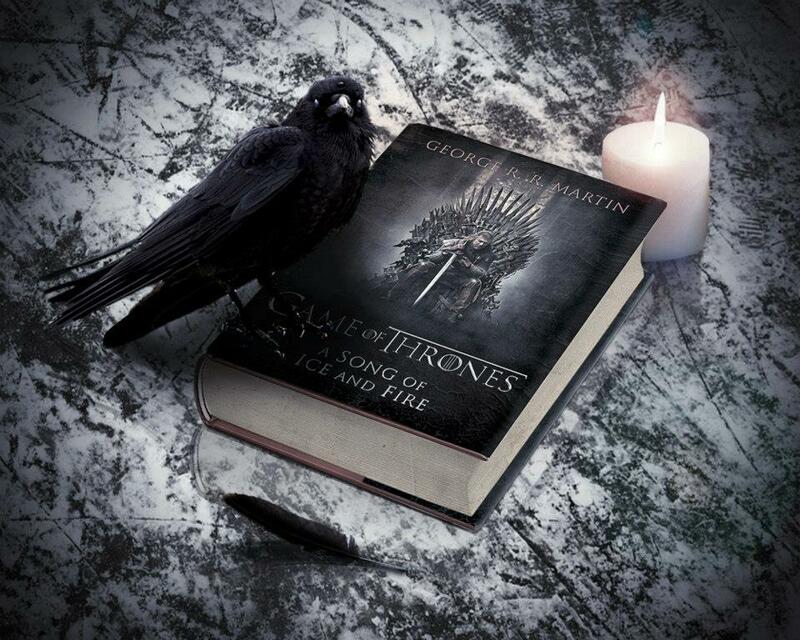 A Song of Ice and Fire without a doubt is one of the most popular book series in the recent years. Most probably this success came due to the HBO TV show Game of Thrones based on George R. R. Martin’s literary masterpiece. It is true the books had their loyal fans even before the show was released but they were mostly people who are fans of the genre. My point is the books didn’t have a commercial popularity before the coming of the show, which made a total hit out of them among all types of audiences. One very real, even painfully real thing about GoT is no one is safe; anyone could be killed off (especially if he/she is a Stark) no matter if they are a main character or not. Actually, there isn’t just one main character in Game of Thrones but rather a number of storytellers, whose point of view we follow in a series of chapters George R. R. Martin has dedicated to them, so we assume these characters are kind of main. Normally, we are used to the fact that the main character is immortal. No matter what obstacles he/she faces, at the end of the story, everything falls into place and “they lived happily until the end of their days.” But in GoT, as Tyrion Lannister (in the show those words belong to Ramsay Bolton) wisely points, “If you think it has a happy ending, you haven’t been paying attention.” It is exactly the same in life. Life is a ruthless fight full of obstacles. There are ups, but there are downs as well and we need to know that from our first day until our last we fight; we fight with others, fight with time, fight with destiny but most of all we fight with ourselves. And that’s the beauty of it all because everything is more beautiful when you know you are doomed. George R. R. Martin has found a very witty way to show the main features of the characters or of groups of characters by comparing them with animals- the Lion of Lannister, the Three-Headed Dragon of House Targaryen, the Direwolf of House Stark and so on. The way he uses metaphor is very clever because the animals are just sigils of the noble houses in Westeros, but actually, they determine the features of the groups of characters that have them. This reminds me a little bit of the astrology houses and the zodiac signs, which more or less determine the main characteristics of groups of people who happened to be born under those signs. As the heading of my post suggests, I find many hidden similarities between our world and the magical world of GoT. This is very good because books (and TV shows/movies) are meant not only to entertain us but to educate us as well and teach us some wisdom (oh yes, there is a lot of wisdom in Game of Thrones). For me, the main thing one can draw as a conclusion from reading the GoT books is that there is only one hell and only one heaven- both are the ones we live in now.